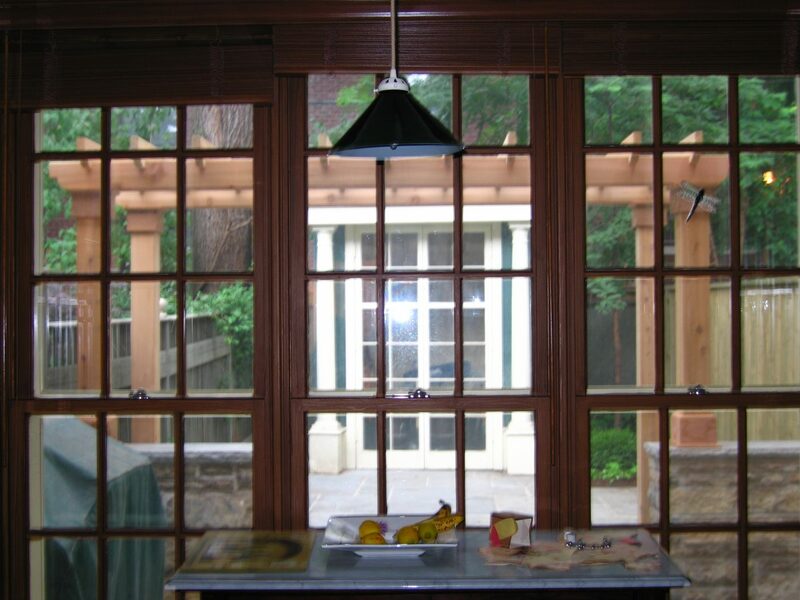 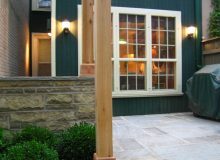 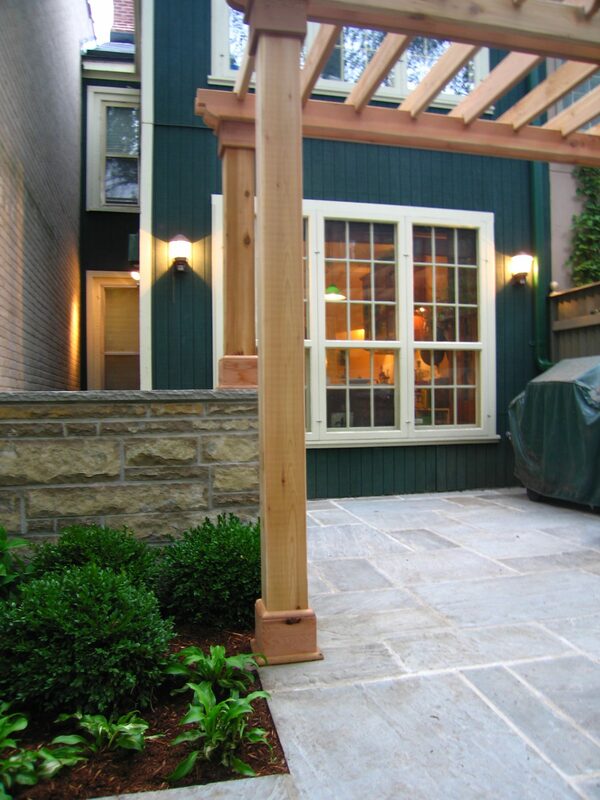 Landcare loves to show homeowners that they can create a great space even in a small footprint. 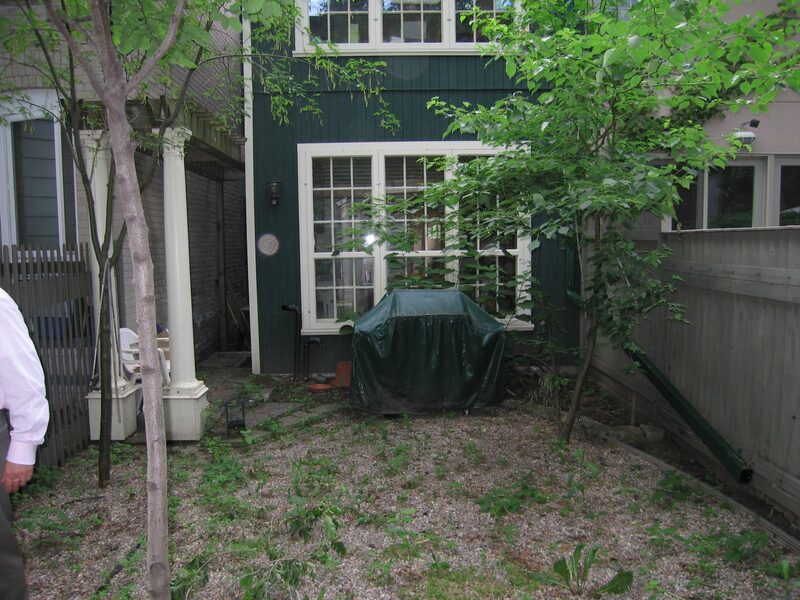 This property had a gravel backyard with no real focus or charm. 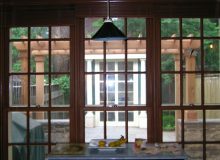 We divided the property into two zones, separated by a low wall, an arbor and unified by cut flagstone patio set in mortar. 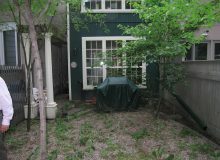 The layout of the flagstone allows for garden beds to be planted with shade-loving plants and mulched to reduce the need for both weeding and watering. 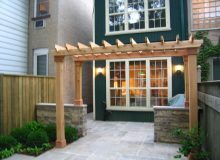 This design is easy year-round maintenance and gardens can be enhanced with colourful annuals should the homeowners wish to create a different feeling year to year.